An open view of the azure sea, with glitters of sunlight, drifting clouds and forested shorelines, delighted passengers inside a Song-do marine cable car in Busan. 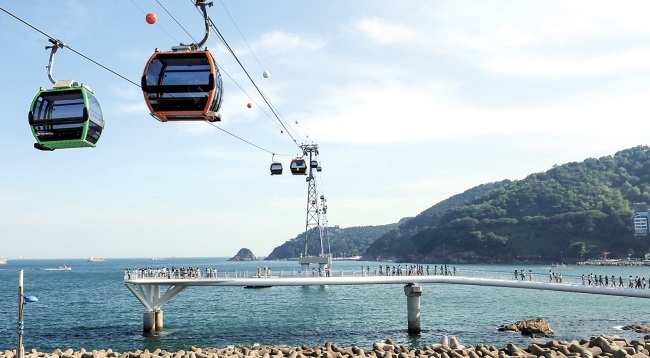 The cable car service, which opened in June, connects Songnim Park and Amnam Park in the port city through its 1.62-kilometer course. Carrying up to 10 passengers, the ride soars up to 86 meters above sea level and takes roughly 10 minutes each way. For those eager to explore the marine metropolis on the sidelines of the Busan International Film Festival, Kim recommended the ride as the first stop among its sundry attractions. She added that there are numerous seafood restaurants, coffee shops and other exotic spots along the coast of Songnim Park in Songdo peninsula. 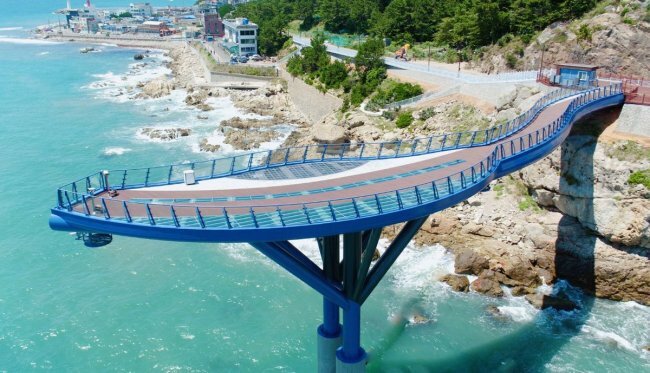 Kim also suggested visiting Yeong-do in the south of Busan, which is connected by several bridges. There, one can find female divers known here as “haenyeo,” who catch seafood by diving and are mostly in their senior years. The Taejongdae park at the southern edge of Yeong-do is one of the most popular spots around Busan. 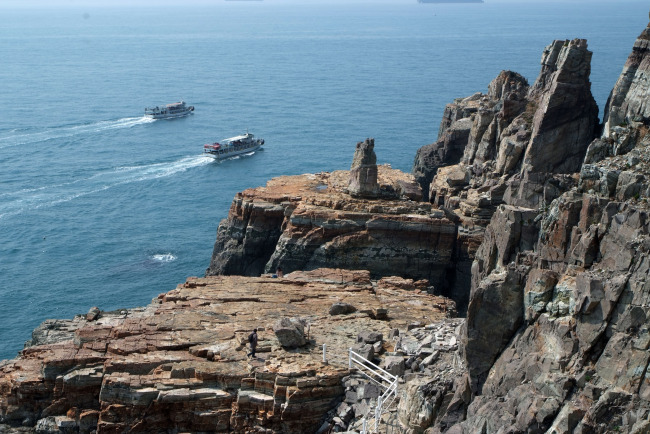 It has rocky cliffs facing the sea, an observatory, amusement park, lighthouse and cruise ship terminal. It is a seaside getaway offering fresh air, plentiful greeneries and spectacular views. 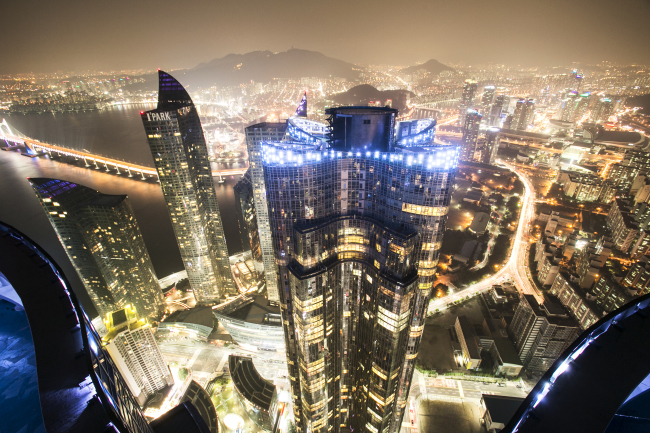 As the second-largest city on the Korean Peninsula’s southeastern edge, Busan offers a wide variety of tourist treasures. 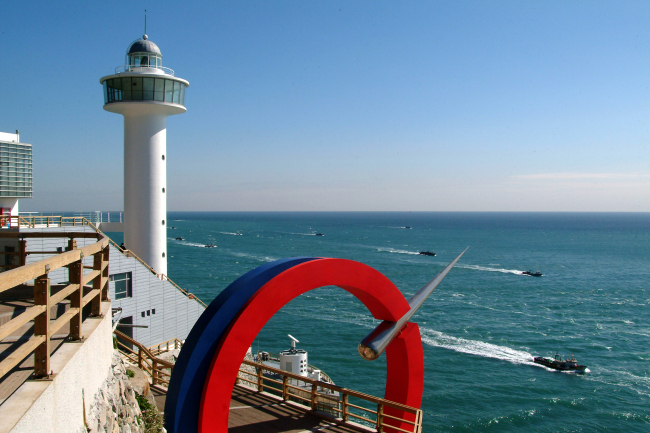 First-time visitors can tour Haeundae Beach, the city’s most popular spot bustling with musical and cultural festivals all year round. Scores of restaurants, cafes and shops fill its 1.2-kilometer coastline. The Dongbaek-seom peninsula at the western end of the beach is a not-to-be-missed attraction revealing a marvelous panorama of the sea. Lined with a wooden hiking trail all around it, the venue also offers a view of modern high-rise apartments and groves of pine trees nearby. Shinsegae Centum City Department Store -- the largest shopping complex in the world recognized by Guinness World Records -- is located west of Haeundae only three subway stations away. Designed by world-renowned Italian architect Claudio Silvestrin and American architecture and design firm Callison, the mall has become a major landmark of Busan, with myriad shopping and entertainment facilities, including an ice rink and spa. The Spa Land on the first floor of Centum City is perfect for releasing stress, with natural hot spring water pumped from 1,000 meters underground, 13 distinctively themed “jjimjil-bang” and saunas, as well as an outdoor foot spa. 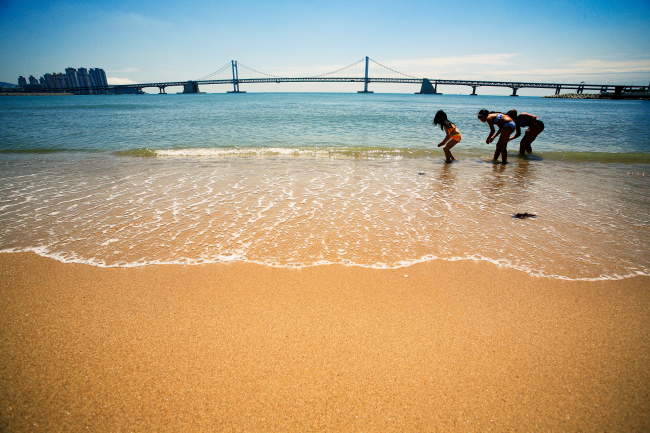 Gwangalli Beach further west from Centum City is ideal for jogging, biking and dining. One can look over Gwangandaegyo Bridge that is lit up colorfully during the night. Scores of bars, restaurants and cafes are located there. 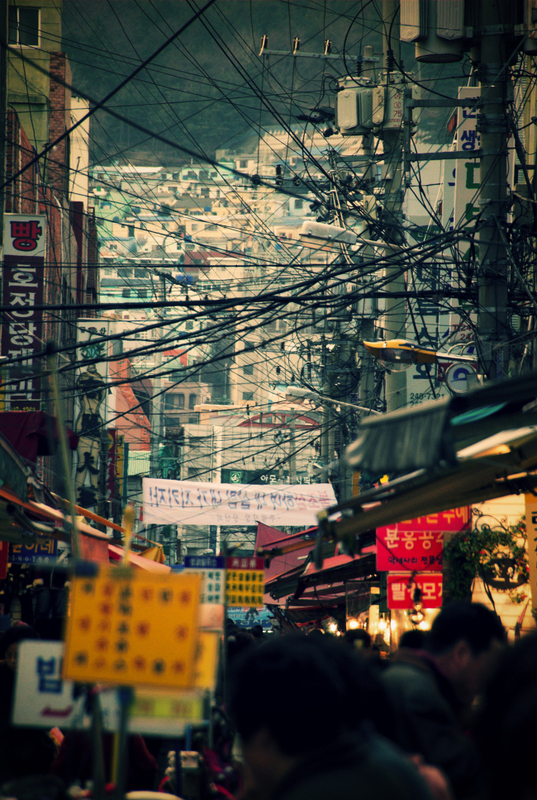 Those looking for a more traditional shopping experience can stroll in Gukje Market south of Busan Station. The bustling shopping district is home to hundreds of small stores selling machine tools, electrical equipment, kitchen tools and clothes. It was also the backdrop of the popular Korean film, “Ode to My Father” (2014), which depicts modern Korean history from the 1950s to the present, including the Heungnam Evacuation of 1950 during the Korean War. 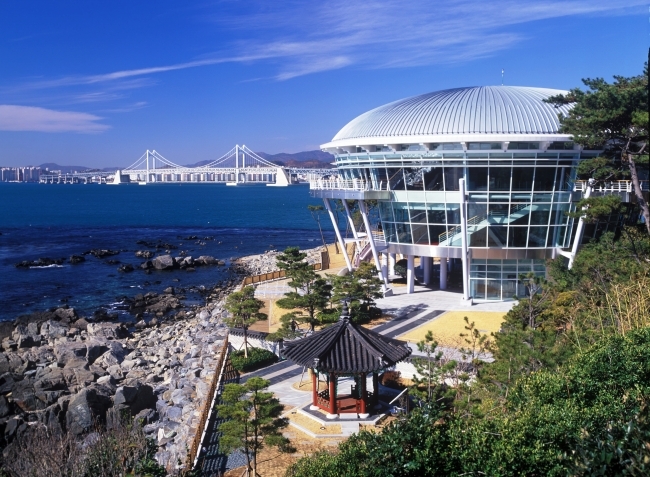 Cheongsapo Daritdol Observatory at the far eastern end of Busan opened in August, and stretches out over the ocean for a thrilling skywalk. The seascape is particularly enjoyable at sunrise and sunset. Visitors can experience the sea like passengers standing at the bow of a cruise ship, breathing in the fresh ocean air. For accommodation and leisure, the Ananti Cove seaside resort further east of Busan is a rising landmark offering top-quality services. As for events and festivities happening near the Busan film fest, the Dongnae Fortress Festival in Busan’s Dongnae-gu District offers programs centered on experiencing and learning folk games, traditional customs and local history from Oct. 20-22. In the same district, the 2017 Korea Hot Spring Festival will provide various opportunities for enjoying spa and sauna, entertainment, performance art and sports events from Oct. 19-22.